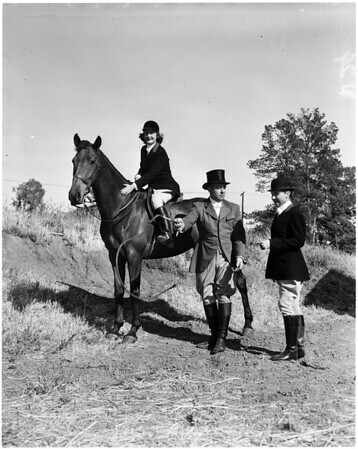 Supplementary material reads: "Photo assignment for Tuesday May 13 at 4:30 p.m. Pls [sic] go to 615 Bonhill Road, Brentwood, GR 28232, home of Herbert Francisco, get shots of West Hills Hunt Club people planning horse show. Candid, animated, unaware of camera, close together. Contacts Wednesday. Thanks Carter Ludlow".